The Flash is making even more room in the fast lane as TVLine reports that season two will have a lady speedster. 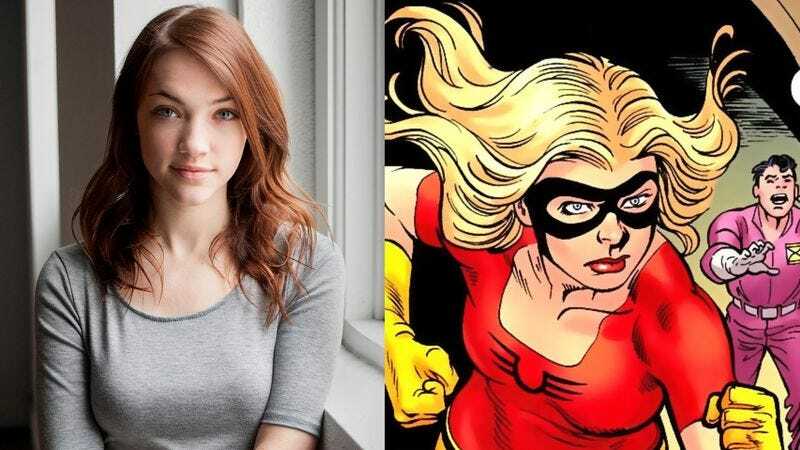 Newcomer Violett Beane—who was probably previously best known for having superfluous letters in her first and last names—will have a recurring role as Jesse Chambers a.k.a. Jesse Quick. As Chambers, Beane will play a “brilliant but quirky college student” who ends up in the middle of the Flash-Zoom fight (which is currently one-sided, because Zoom hasn’t been cast). But she’ll also have a metahuman alter ego in Jesse Quick. In the comics, Jesse Quick is a second-generation superhero—her parents were Golden Age superheroes Liberty Belle and Johnny Quick, former members of the Justice Society of America and the All-Star Squadron. Jesse’s got her mother’s enhanced speed and strength, and she inherited mathematical formulas (an ancient Egyptian secret) from dad Johnny Quick that turn her super-speed on and off. If she lives up to her backstory, Jesse will be one of four super-runners on season two—she’ll join Barry Allen’s Flash, the Jay Garrick Flash, bad guy Zoom, and possibly Kid Flash. If that happens, the show could just change Jesse’s last name to Flash and take the show in a Marvel Family direction. Season two of The Flash premieres October 6.